Have you ever wondered how the place you come from influenced who you are? Or what memories you carry from your ancestors? Or how your personal history impacts your view of the world? Take a day out of your busy life to explore your deeper self and ponder the life you’ve lived so far. 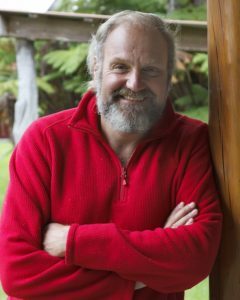 Join Tom Peek for “Writing for Inner Exploration and Life Reflection” on Saturday, March 23 from 9:30am to 4pm at Volcano Art Center Ni‘aulani Campus in Volcano Village. Workshop cost is $75/$65 for VAC Members. To register contact the Volcano Art Center at 967-8222 or visit www. volcanoartcenter.org. Students are asked to bring a lunch and some pictures of your parents—at least one of each parent (unless you come from a single-parent family, in which case bring some pictures of your one parent). Peek’s workshop includes fun, offbeat, and provocative “wild mind” exercises that provide participants with exploration tools to use in class and on one’s own. This workshop is perfect for journal keepers, bloggers, autobiographers, spiritual seekers, memoir and family history writers, and anyone who simply enjoys writing. No previous writing experience is necessary, just the desire to explore! Attendees always give Peek’s workshops high marks. “I experienced a restarting of my fire for writing,” said one past participant. “This workshop will change my life,” said another. Peek, an award-winning novelist, has taught his popular Hawai‘i workshops since 1991, encouraging hundreds of islanders to write their own journals, blogs, family histories, stories, poems, novels, and essays.